'Waves wash the rocks in afterglow at Manu Bay, Raglan at 18:25 on 8 April 2017. 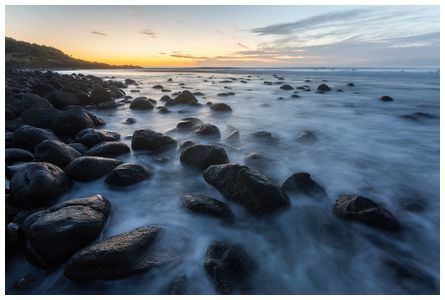 A 6 second exposure with a tripod precariously placed with legs splayed out on wet rocks like a young giraffe taking its first steps as I watched it closely with eager hands in case of any slippage' wrote Dan. 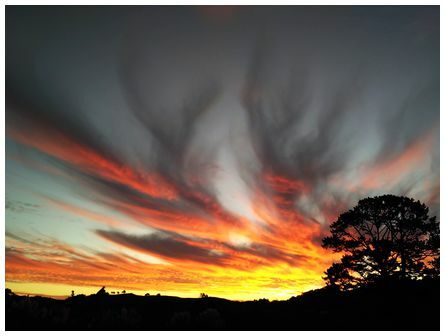 'Amazing sunset over Mareretu in Northland at 18:00 on 18 April 2017' wrote Hannah. 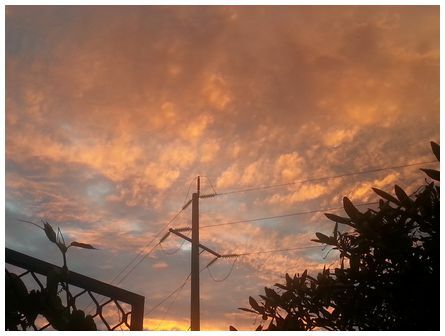 'Colourful skies above Tauranga, on 28 March 2017 at 19:17' wrote Josefa. 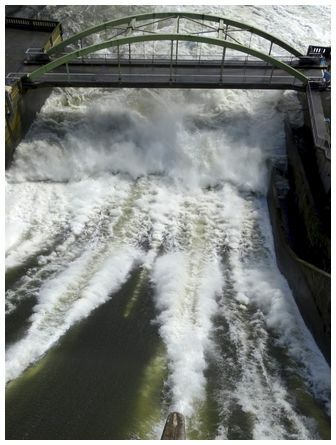 'Water thundering down at Karapiro Dam. 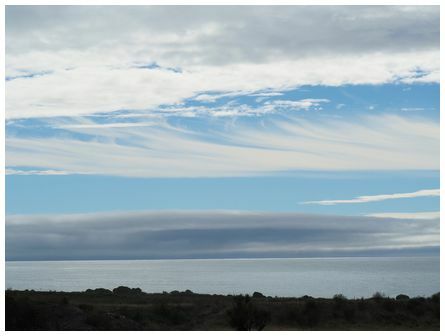 Taken with a Sony HX50 at 12:10 on 17 April 2017' wrote Jan.
'An odd layering of cloud forms looking northeast near Clarence. 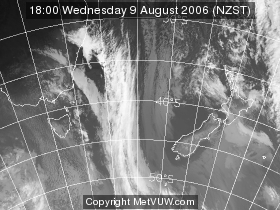 Calm sea, fog which caused chaos for travellers out of Wellington, cirrus and altocumulus. Taken 10:00 on 30 March 2017' wrote Bridget. 'After various weather related delays and cancelations to the Wairarapa Balloon Festival the Night Glow got underway a day late on Saturday 15 April 2017. 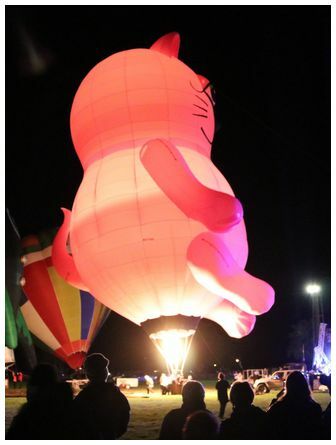 Photograph shows the High Kitty balloon from the USA and was taken on a Canon 80D camera' wrote Edward. 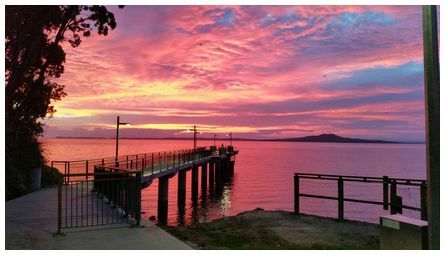 Liz wrote 'sunrise over Motutapu and Rangitoto Islands, with the new Murrays Bay wharf in the foreground. Taken at 07:05 on 7 March 2017.